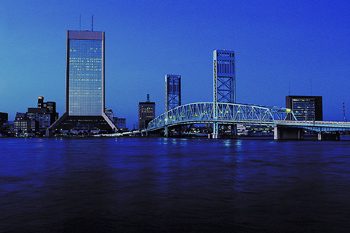 The fall season is a great time to call Orlando and Jacksonville home! Theme parks are usually packed throughout the summer. And during the winter, you’ll often find lots of people coming in from cold, snowy states to enjoy some warmer weather. But come September, October and November, temperatures begin to drop off into the 70s, and the humidity levels are almost non-existent. It’s the perfect time of year to step in out, perhaps in a light jacket, and enjoy the sights sans the crowds of tourists. FALL EVENTS abound within the Central Florida. Whether it’s a holiday celebration or an entertainment festival, you’re sure to find something fun to do. For a few days in September and throughout the month of October, Universal Studios is transformed into a “labyrinth of haunted houses” and other scary attractions ripped straight from the movies that have terrified people for years and years. The shows, exhibits and decorations are updated every year, as well, so the park always keeps your heart racing and your blood pumping. General admission is $69, but you could purchase a Frequent Fear Pass, giving you unlimited access Sundays through Thursdays, for the same price. For more info, visit HalloweenHorrorNights.com. Just outside of Orlando, the aptly named town of Celebration hosts a yearly Oktoberfest. This year marks only the second time that the town is putting on the event, which takes place Friday, October 9 and Saturday, October 10. There are hayrides, live music, tons of food and lots to drink… all boasting a German theme, of course. The best part of the event is that parking and admission is FREE! For more info, visit CelebrationTownCenter.com. If you’re in Jacksonville for Thanksgiving, there is more to the holiday than turkey, stuffing and pumpkin pie. Because the city is close to the water, Jacksonville created an annual parade boats to dazzle crowds during Thanksgiving weekend. Bots are decked out in thousands of twinkle lights and sail through the riverbank near Metropolitan Park and Jacksonville Landing. A spectacular fireworks display follows the parade. For more info, visit COJ.net. ORLANDO/JACKSONVILLE SPORTING EVENTS are starting up again in the fall. You’ve got hockey and basketball coming back in October and sticking around all the way until spring! Last year, the NBA Orlando Magic won the Eastern Conference title. And even though the team has been around for 20 years now, they have never won an NBA Championship. It’s been a long time since the days of Shaquille O’Neal and Anfernee ‘Penny’ Hardaway, but the Magic hopes to go all the way this year behind the support of former NBA star, and now Orlando Assistant Coach, Patrick Ewing. The Magic takes on the Detroit Pistons, the team who ended their quest for the ring last year, at home on Friday, November 6. For more info, visit NBA.com/magic. The NFL Jacksonville Jaguars began last season with high hopes, as they acquired some really good rookie players. However, the team finished 5-11, recording the worst record since 2003. Many of their key players suffered from injuries and were unable to compete throughout the season. This year, they hope to stay healthy and get a shot at playing in the coveted Super Bowl. The Jaguars open their season at home facing the 2008 Super Bowl Champion Arizona Cardinals on Sunday, September 20. For more info, visit Jaguars.com.